As of August 1, W.F.A. Turgeon will be known as St. Catherine Catholic School, named after St. Catherine of Siena. The name change was announced Tuesday. 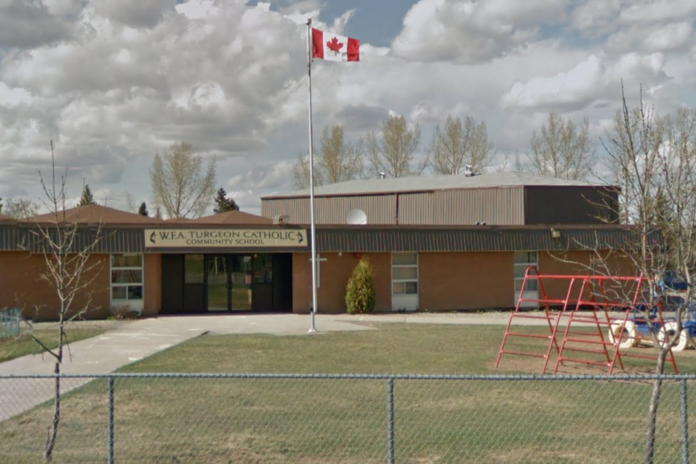 It was approved by the Prince Albert Catholic Schools board so as to have a school name that better reflects its Catholic identity. The K-6 school on Branion Drive is named after William Ferdinand Alphonse Turgeon, an Officer of the Order of Canada who served as an MLA and the Chief Justice of Saskatchewan, before later taking posts as the Canadian ambassador to Argentina, Chile, Mexico, Belgium, Luxembourg, Ireland and Portugal. As a politician, Turgeon served Prince Albert, Duck Lake and Humboldt, taking cabinet positions as the Provincial Secretary and as the Attorney General. A Winnipeg Free Press article credited him with building the foundations of administrative and municipal legislation in the province. As a lawyer, Turgeon set up his practice in Prince Albert and became a Crown prosecutor. According to a press release, 42 names were submitted to the board and to Bishop Albert Thévenot for consideration. Students, staff and families were asked to submit the names, as well as a rationale. Now that the name has been chosen, students and staff will pick a school mascot and team name, and learn more about St. Catherine. According to the press release, “St. Catherine is known for devoting her life to prayer after she had a vision of Christ. Later, she became a doctor of the Church as she influenced and contributed to the Catholic Church.